In 2018, the 100th anniversary of the great theatre and film director and writer Ingmar Bergman (1918-2007) is celebrated around the world. He created about 60 documentary and feature films and 170 theatre productions, won multiple awards, including Oscar and Cesar awards, and prizes at the Cannes, Berlin, Venice and many other international film festivals. In terms of the number of events held and the territories covered, the anniversary of Bergman has become the most ambitious and significant cultural initiative dedicated to the great cinematographers of the world. Celebrations were held not only in Bergman’s homeland, in Sweden, but also in many other European countries, as well as in the USA, Canada, Argentina, Australia, Israel, Turkey, Japan, Thailand, South Africa, and Morocco. The 100th anniversary of Bergman was also widely celebrated in multiple Russian cities and in a wide variety of formats. And this is no surprise that for several decades already, the work of Ingmar Bergman has always attracted the Russian audience by its close attention to the person, his inner world, experiences and relationships with others. A twenty-one film retrospective called “Bergman. Known and Unknown” was held at the 40th Moscow International Film Festival. 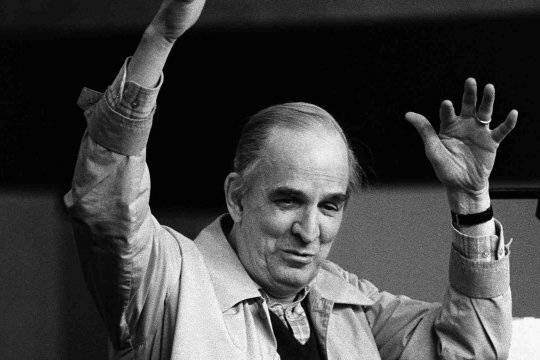 Viewers had the opportunity to explore his creative path, starting with the first film directed by Bergman Crisis (1945) and ending with his most grandiose project Fanny and Alexander (1982). In April of this year, an international conference The Edge of Talent: To the 100th Anniversary of Ingmar Bergman was held at the Russian State University for the Humanities. Scholars presented their research of his create heritage. Also this year, for the anniversary of Bergman in Russia, in the first country outside Sweden, his diaries “Workbooks. 1955-1974” were published. They open up a door to follow the process of creating cult masterpieces of world cinema - from the origin of their conception to realization. The presentation of the book took place in Moscow at the 20th International Book Fair for High-quality Fiction and Non-fiction. A large program of anniversary events was prepared in Yekaterinburg. In addition to the retrospective of the films of Bergman and about Bergman, there was a premiere of a theatre production created by director Dmitry Zimin based on the script for the 1968 film Shame. The Ural branch of The National Center for Contemporary Art opened the exhibition “Beginning, Ending and Almost Everything Between Them”, which featured works by contemporary artists as well as archival materials provided by the Swedish Institute, the Ingmar Bergman Foundation, the Norwegian Film Institute and the Norwegian Embassy. Also, in Yekaterinburg, the exhibition “Bergman and his legacy in fashion” was successfully held. It had previously been shown in many other countries. In August, the full-length film Bergman: A Year in a Life by documentary filmmaker Jane Magnusson, was released in Russia. The loud premiere of the film took place at the Cannes Film Festival this year. The film, which was the third appeal of the Swede Magnusson to the figure of her brilliant compatriot, focuses on one, the most productive, year of his life. In 1957, Bergman manages to make two of his, perhaps the most famous films - The Seventh Seal and Wild Strawberries, to stage two theatre plays - The Misanthrope (after Moliere) and Peer Gynt (after Henrik Ibsen) - at the Malmö city theatre, to create two radio plays and a TV movie. He is seriously ill. Passions boil in his personal life during this period. His wives and muses not only complicate his existence, but also contribute to his incredible creativity rise. Therefore, it was 1957 that in many respects determined the further development of the master's talent. The largest program for the anniversary was prepared by Solyanka State Gallery. The project “Bergman. Metamorphosis” was invented by the gallery together with the Embassy of Sweden in Russia and, according to its chief curator Margarita Osepyan, it “talks about Ingmar Bergman’s influence on contemporary art, but does not concentrate on him as an icon, as a national hero, but studies some more subtle psycological aspects of his work ". Here you can find paintings and video works, photographs and installations of two dozen Russian and foreign artists - Natasha Danberg and Annika Larsson (Sweden), Corinna Schnitt (Germany), Christina Lucas (Spain), Victor Alimpiev, Alena Tereshko, Lyudmila Gorlova, art groups NEXTSTOP and others. The curator Karina Karaeva, on the one hand, introduced her understanding of Bergman, and on the other hand, showed how the facts of his biography and his ideas are understood by other artists. In their works, the artists who took part in this project, each in their own genre and style, rethought Bergman themes (loneliness, fear, death, alienation, silence, and others), using the language he had invented. Especially for this exhibition, Solyanka State Gallery prepared an extensive public program, which included screenings of Ingmar Bergman’s films and documentaries about him, lectures by specialists studying his work, as well as various performances, concerts and much more. This program also included another film by Jane Magnusson about the maitre. More than thirty years of his life Bergman spent in his house on the island of Fårö. His films Hour of the Wolf, The Passion, Shame, Scenes from a Marriage and Through a Glass Darkly were also shot here. After the director’s death in 2007, Jane Magnusson drew attention to his film collection, which was in the house and consisted of 1,711 videotapes. It was about this collection that Jane told in her film Trespassing Bergman (2013) and then during her public talk in Solyanka State Gallery. Woody Allen, Wes Anderson, Michael Haneke, Lars von Trier, Francis Ford Coppola, Alejandro Iñárritu, Takeshi Kitano, Martin Scorsese, Ridley Scott, Robert De Niro, Isabella Rossellini, and other filmmakers of the first magnitude trespass Bergman. It turned out that Bergman for all of them was an absolute authority and a symbolic figure, which in many ways shaped them and determined their creative destiny. The project “Bergman. Metamorphosis” at Solyanka State Gallery in Moscow was the logical conclusion of the year, which was held in Russia and around the world, under the name of the genius of cinema. What is his impact on modernity? To this question, everyone, be it an artist, a critic or a simple viewer, gives his own answer. 777: 30 seconds to mars. To the 100th anniversary of Ingmar Bergman14 December 2018: To the 100th anniversary of Ingmar Bergman! лучшие комедии. To the 100th anniversary of Ingmar Bergman.